In this edition of the SA parkrun newsletter, we sadly announce that Huddle parkrun was permanently cancelled before it began. However, we do see record attendances at parkruns across the country, welcome our new sponsor to the family and look at our parkrunner of the week; Mark Fuller. As always, the New Year has started off with an explosion of new registrations and a number of extremely large parkruns. We first noticed this tendency two years ago when our registration and attendance records suddenly sky-rocketed. I discussed this phenomenon in our last newsletter but even I was surprised by the upsurge in numbers we experienced in the first three weeks of January. We aren’t certain if this growth is driven by over- enthusiastic New Year resolutions or simply by the lovely Summer weather but what we see each January is that 6,000-7,000 new parkrunners join the family each week and several of our parkruns have attendance records or attendances of over 1,000 parkrunners. 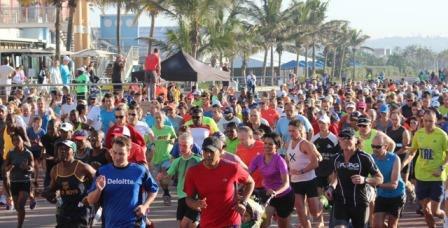 In addition we are being inundated by requests to start new parkruns at venues scattered all over South Africa. If we look at past patterns, next month things should start to calm down and our registrations will drop to a “reasonable” 3,000 per week. Luckily our wonderful volunteer teams are ready for this tsunami and generally things are well managed. This Saturday at North Beach we may unleash another tsunami next to the Indian Ocean as we announce Mr Price Sport as a new sponsor. Last Saturday over 1,500 parkrunners ran the familiar out-and-back North Beach route. This Saturday even more could descend on North Beach as many of our new sponsor’s employees could feel the urge to discover what parkrun is all about. We are delighted to welcome Mr Price Sport to the parkrun family and look forward to some exciting new developments with them. Mr Price Sport will also be at Root 44, Greenpoint, Delta and Modderfontein Reserve on Saturday. Things don’t always run smoothly at parkrun and sadly we had to shut down our Huddle parkrun before it had even got off the ground. I won’t go into the details but suffice it to say there was a misunderstanding. Our ex Huddle team is working flat to look at a new venue at Gilloolys Farm which is close by and residents in the Linksfield / Huddle area should soon be able to enjoy their own parkrun. With the cancellation of Huddle parkrun, January has been a quiet month for new parkrun openings; but this is set to change markedly in February as we see inaugural runs starting every Saturday of the month. We start first on the 6th February with the inaugural Heron Banks parkrun near Vanderbijlpark. Our North West regional Director, Manie Esterhuizen, is very enthusiastic about Heron Banks, which is situated in a golf estate on the banks of the Vaal River. 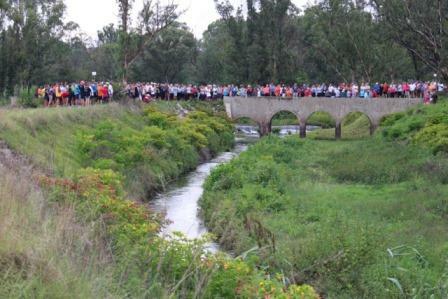 Event director Frikkie Van Rensburg has suggested that parkrunners bring binoculars so that they can enjoy the abundant wildlife and birdlife. Hot on the heels of Heron Bank’s opening come “King Williams Town” on 13th February, Hartbeespoort on 20th and “Thousand Hills” (Botha’s Hill, KZN) on 27th. There is also an exciting queue developing with some very interesting venues; but that’s the subject of a future newsletter. We would like to thank all our Team Vitality running and cycling members who spent our first year with us. It was a great year for running and cycling, with a huge number of Team Vitality members showing up in their orange at some of the best races in the country. Our members got to enjoy some complimentary hospitality at many of these events and this year will be even better. We’d like to invite you to join us again this year and be part of South Africa’s biggest (and most popular!) running and cycling club. We’re looking forward to hosting you at fantastic events like the Comrades Marathon and Two Oceans. Team Vitality members will be pleased to hear that if you activate or renew your Team Vitality running or cycling membership, you’ll still be paying 2015 fees with ALL the perks. Renew your Team Vitality membership by logging into www.discovery.co.za and clicking the renew/activate button on the Team Vitality page. Keep an eye on our weekly newsletter for more information about this amazing Vitality benefit. If you’re a Vitality member, you can earn 300 Vitality points for every parkrun you complete, by making sure you’ve linked your parkrun profile to Discovery. Not sure how? Use this step-by-step guide. A very happy and prosperous New Year to you, your fantastic team and all parkrunners. 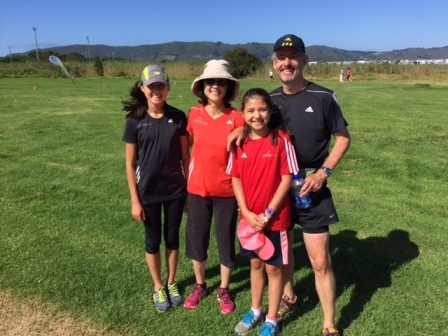 We as the Gey van Pittius family decided to do the Langebaan parkrun one December morning. It was great as Granny, daughter, daughter in law, two grandsons and a boyfriend joined...what a privilege. 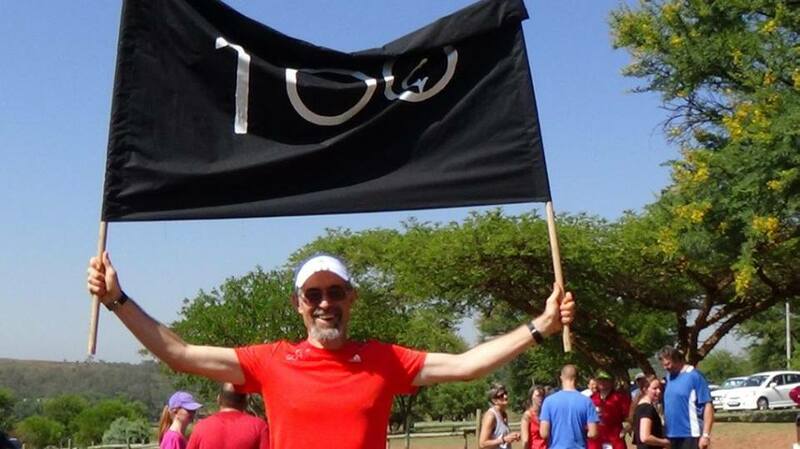 I should be completing my 100th parkrun this weekend, and with that in mind would like to thank Werner, Tamarin, and the PE Hobie Beach parkrun team for your unselfish and dedicated support and input into this fantastic event. I started this fun/free event in November 2013, as a keen walker but by January 2014 (having turned 58) gradually started jogging, having always had a negative block towards running. Well almost exactly 2 years later I will reach this milestone, aged 60, and can say that this event has assisted me in becoming an avid runner, participating in parkruns countrywide, joining a running club and doing the Knysna half marathon. I am a huge believer in the parkrun concept as it is an event for everyone, young and old, healthy and not so healthy and I encourage all I meet to participate. Rose and I run as a team and will make volunteering a priority when we can contribute. I am 10kg lighter, run parkrun 10 minutes faster than the beginning of 2015 and fell 100% more positive in myself. I have not been ill since the first Highland Trout Marathon when I first met you. A very big thank you to the best fitness cause I have ever been part of. How has parkrun changed your running: I was never a runner, preferring cycling as a sport. A friend of mine challenged me to run and not being one to turn down a challenge did my first run at Woodlands. parkrun has not only got me into running but my friends too. We have noticed that we are fitter for cycling too. 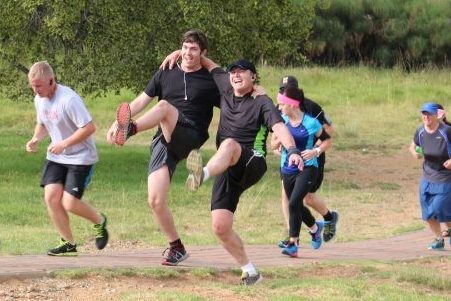 Most memorable or funniest parkrun moment: First Soweto parkrun with my nephew from the UK and a bunch of local kids. These kids joined in the run when they saw 'old' people running and thought they would show us how to do it properly. I still laugh when I think about that day. Huge fun. Trail or Road Running? : Trail running is much more fun because you're out in the woods and communing with nature between deep breaths. Favourite volunteer role:: Timekeeper because you can give the runners 'stick' when they come in and generally they're too tired to chirp back. What do you like about volunteering at parkrun:: It is such fun. Meeting new people and making new friends. And ending the morning off with a breakfast. My friends and I have formed a volunteer team and generally manage the day when we are on. We try to volunteer at least every three months. Why should others volunteer at parkrun? : Firstly it gives back to parkrun and helps the day to run smoothly...but mostly its lots of fun. What fellow parkrunners say about them:: Mark is the one who organises coffee vouchers and always manages to get us a fantastic deal. He is also the guy who will obtain sponsorships from local businesses for money to buy the things we need to put on a fantastic parkrun. In this edition of the SA parkrun newsletter, we look back at a successful holiday season as attendance records fell in the New Year. We look forward to Modderfontein Reserve parkrun’s 3rd birthday celebrations and celebrate our parkrunner of the week; Simon Yates from Voortrekker Monument parkrun. Luckily last years’ experience prepared us for the new 2016 parkrun season. 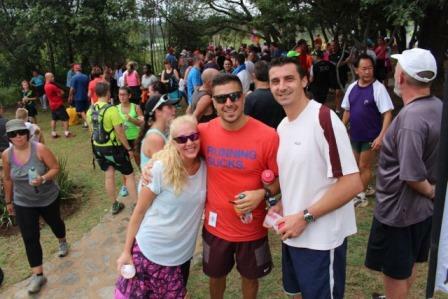 We learnt last year that there is a New Year explosion of interest in parkrun. Last Saturday we set a new attendance record as more than 23,000 ran and walked at parkruns around South Africa. In addition 5 parkruns had attendances of over 1,000 participants and there were 5,500 new registrations in South Africa in one week. Of course we shouldn’t focus simply on large numbers and it was pleasing to see enquiries for new parkruns coming from around the country and from some small communities. parkrun has the ability to make a positive difference no matter the size of the community. Nevertheless the numbers who participated last Saturday were large and we expect them to grow more this Saturday. I am sure some of this enthusiasm is driven by New Year’s resolutions and the guilty feeling of a holiday spent overindulging. But there is also a genuine desire among many new parkrunners to join a group where people want to exercise and improve their health and have fun while joining a friendly and welcoming community. With this in mind I thought it would be an inspiring way to start the New Year with some motivating and positive experiences from South African parkrunners. 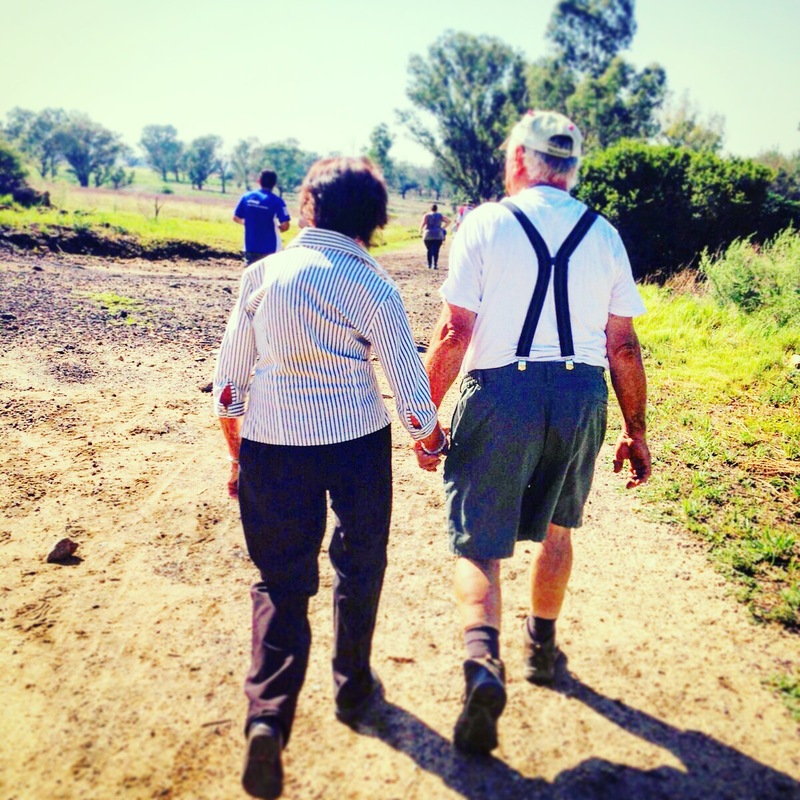 We have included this photograph taken by Tsholo Moraba at Modderfontein parkrun last weekend which I think is one of the most evocative photographs ever taken at a parkrun. 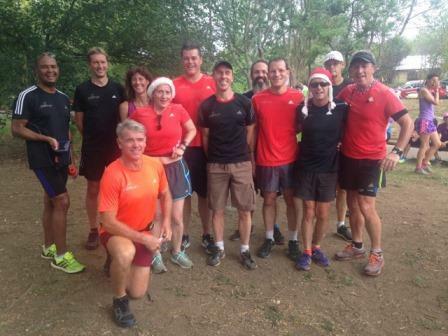 Several South African parkruns celebrated the holidays with an extra run on Christmas Day and on New Year’s Day. This was entirely at the discretion of each parkrun team and community. As you can see from our photo there was quite a festive holiday spirit at those runs. Modderfontein parkrun will be celebrating its 3rd birthday on Saturday and like all things “Modderfontein” this will be special. Wayde Morsink and his team are busy preparing for a bumper birthday. Some of our sponsors will be attending and it should be an exciting morning at Modderfontein parkrun. Those planning on attending need to be prepared to come early because the parking will fill up rapidly. I know the Modderfontein team will have prepared adequately but it is still a good idea to get there early so parkrunners can enjoy more of the party. The recent heatwave has made running tough for all of us but even more so for our dogs. Please make sure that you have water for your dogs and if it’s really hot consider leaving your dog at home. Comrades 2016 runners are invited to join Mofolo parkrun in Soweto on 23rd January. Mofolo parkrun will be hosting the ‘Comrades Road Show’ after the parkrun. The Road Show will start at 9:00am. The venue is across the road from Mofolo parkrun at Mofolo Community Hall (opposite Mofolo Five Roses Bowl). Event Director Boitumelo Mofokeng will be in attendance with more information. Our National Supporter, Dis-Chem recently donated vouchers for parkrun volunteers. 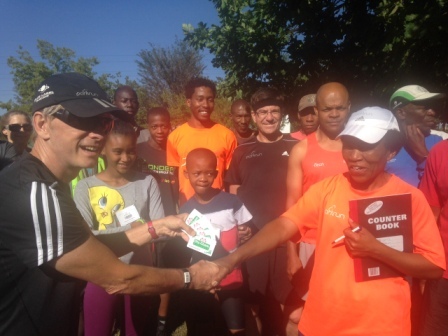 Here they are seen being handed over at Mofolo parkrun. If you’re a Vitality member, you can now make sure your children are developing at a healthy rate by booking them for a Kids Vitality Health Check at a pharmacy in the Vitality Wellness Network. You’ll also earn 2 500 points for each child. The Kids Vitality Health Check consists of a Body Mass Index (BMI) and blood pressure measurements, as well as a health behaviour and developmental questionnaire. A trained nurse will discuss any health concerns with you and you’ll also get a personalised feedback report after completing the assessment. All you need to do is take your child to a Vitality Wellness Network pharmacy with your Discovery Health membership card (if you have a policy with Discovery Health) or proof of your Vitality membership, and your children’s ID numbers and pay the R65 fee to complete the assessment. If you’re a Vitality member, you can earn 300 Vitality points for every parkrun you complete by making sure you’ve linked your parkrun profile to Discovery. Not sure how? Use this step-by-step guide to help you. As I write this I am feeling very sad because I ran my last parkrun this Saturday at Aliwal North. My mum, sister and I are leaving to live in Japan and there aren’t any parkruns there! On 27th July, 2013 my dad and I did our first parkrun at Delta, after we were told about parkrun by a cousin, who had just run the North Beach parkrun. We walked, and ran a little, to finish the 5km in 41:45. My mum, sister and I weren’t very keen on doing a parkrun the next Saturday (we wanted to sleep late) but my dad persuaded us by offering to take us out for breakfast after the run. My feelings about parkrun changed when we went to the inaugural parkrun at Cannibals Cave. It was very exciting to go on a road trip on the weekend and to run a different route. We met Gill and Bruce Fordyce there as well as the Thatcher family. Since then we’ve been to many inaugurals and different parkruns. 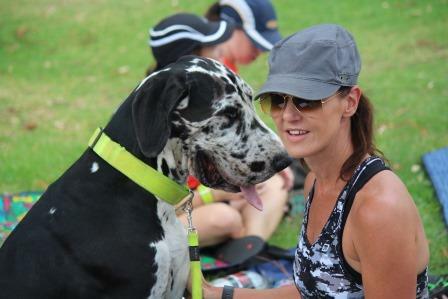 We have met many people who are also trying to do different parkruns around South Africa – I have so enjoyed it. As we went to different parkruns we began to see different parts of the country, going to places we wouldn’t normally go, we got healthier and fitter, and most of all we enjoyed doing it all together as a family! We volunteered each Saturday for a few months, and I realised how important the volunteers are to make the events happen each week. It made me really feel that I was a part of parkrun. We have run parkrun nearly every Saturday, trying not to miss any. I eventually got my 50 shirt, and I was so proud of myself. The next target was the 100 shirt, and I managed to reach the target a few weeks ago – just in time before leaving South Africa. Thank you parkrun! After being introduced to parkrun by Gill Fordyce in Durban in 2013, it took me 2 years to find my home event, Rondebosch parkrun. What a revelation it has been! The organisation is enthusiastic and highly efficient. The course is off-road, flat and perfectly safe for young and old. It may be the safety aspect that has produced such a rich diversity of parkrunners. Every Saturday, we see teenagers and pre-teenagers, former marathoners and walkers, dog-owners etc. A highlight is the weekly duel between my 87-year-old friend Alex Jones and his 90-year-old rival Jack Urmson. 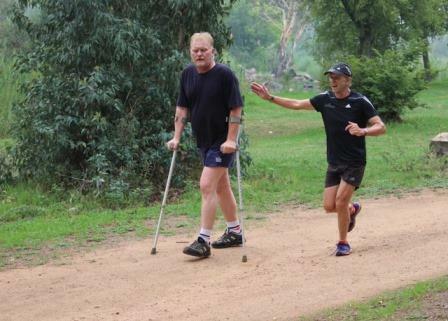 Mr Two Oceans, the legendary Chet Sainsbury, is using the parkrun in his efforts to overcome serious illness. I recently met a young couple pushing a pram. Their passenger was just a couple of weeks old. Last week, I had the most touching experience imaginable. I encountered a youngster with Down’s Syndrome who cheerfully greeted everyone in his vicinity and completed the entire course. In my opinion, parkrun is the greatest innovation in our sport since modern running shoes. The Rondebosch parkrun is particularly special. How has parkrun changed your running: When I first started it encouraged me to take my training more seriously, so as to achieve my PBs. Now it's a great weekly time trial, which lets me compete against myself, and encourages me to keep up the training even when I'm feeling less motivated. 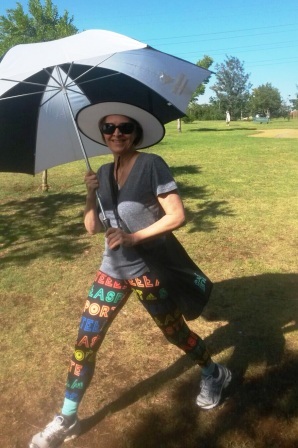 Most memorable or funniest parkrun moment: The Saturday in September this year when we had the coldest, wettest winter's day for Pretoria that I remember for a long time (it shouldn't rain in Pretoria in September!). In spite of the fact that it had been raining on and off since early morning and was bitterly cold, we still had 13 volunteers shivering under umbrellas, and 84 brave souls completed the course. We started the run from under the carports, and had to move the finish onto the road because the usual finish was waterlogged. By the time the volunteers had packed up and we got home, the first item on the agenda was a hot bath, even before the results processing. 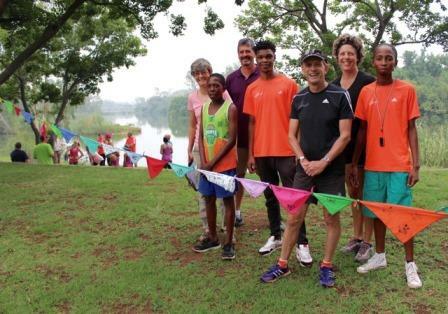 What do you like about volunteering at parkrun:: We have a great core team at Voortrekker Monument, which sometimes feels like a second family (in a good way, of course). There is great satisfaction when your efforts are acknowledged by the parkrunners. It's also good to feel you are giving something back and ensuring that the parkrun continues to thrive. Why should others volunteer at parkrun? : It's a good opportunity to get to know other parkrunners. It also gives you a better understanding of the challenges the volunteers have to overcome each week and the behind-the-scenes processes involved. There are volunteer roles which don't require you to miss a run, so even if you are gunning for that red (or black) T-shirt, don't let it stop you from volunteering. What fellow volunteers say about them:: Simon is so patient and dedicated and helpful. When his only car was smashed by a bus he went to the trouble of hiring a car just so he and his wife could get the equipment and the water to parkrun each Saturday. His wife of 25 years is a wonderful support to him. As Simon is one of the early finishers at Voortrekker he often takes over as back up timer and helps sort out little problems.